One of the five people killed in a pair of crashes that occurred moments apart on Interstate 55 on Monday was described as a "supermom" and a "beautiful human being" who was well-known in the community from her work volunteering as a Jehovah's Witness. 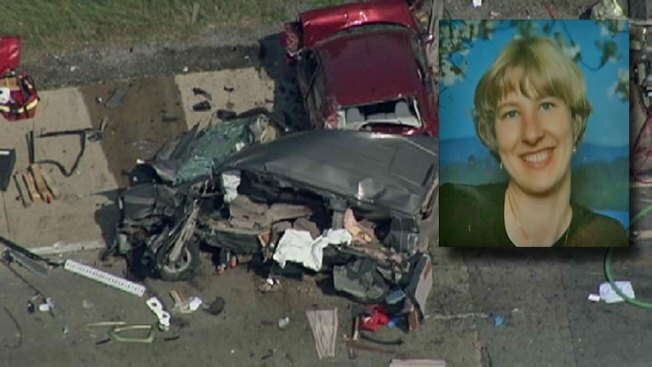 Ulrike P. Blopleh -- Uli, as she was known -- was in the front passenger seat of the family van when she and three of her four children were involved in the 2:30 p.m. crash near Arsenal Road, in Elwood. Blopleh's 16-year-old daughter was at the wheel and two other children were in passenger seats, family spokesman Steve Flynn said Tuesday outside the family's Channahon home. "As the 12-year-old described it, he said, 'Dad we had a car in the van,'" Flynn said. Interstate 55 in the southern suburbs is open again after two deadly crashes just minutes apart. 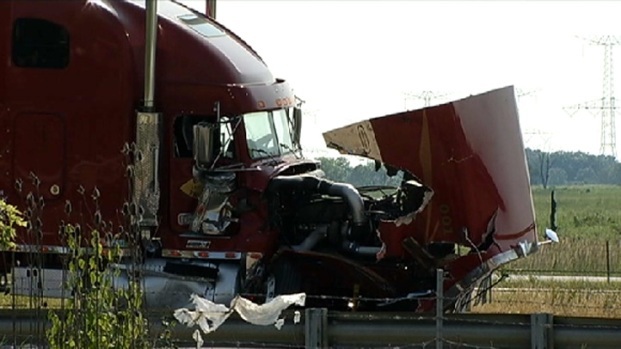 Five people were killed, including four women who died after a semi rear-ended their cars. NBC 5's Natalie Martinez reports. The youngest boy, who Flynn believed is 10 years old, was flown in a medical helicopter to Loyola University Medical Center. He was stable and expected to be OK, Flynn said. The other children were transported to two different hospitals before being released. He declined to provide the names of the children. Flynn said the 48-year-old Uli was well-known in the community and that the family has had hundreds of offers of help and support in the hours since the crash. "She was a great girl. She was a supermom. As Moses, her husband, described her, she was the home," said Flynn. The family worships out of the Kingdom Hall in Wilmington, and Flynn said he expected a service would be held for Blopleh this weekend. She requested to be cremated, he said. Illinois State Police said a speeding tractor-trailer entering stalled traffic in a construction zone caused the chain-reaction crash that killed Blopleh as well as Kimberly K. Britton, 43, and Piper Britton, 11, both from Urbana, and Vicky L. Palacios, 54, of Coal City. A fifth person, Deividas Mockus, 41, of Darien, was killed in a second crash moments later about three miles to the north. That stretch of I-55 has been the scene of several accidents over the past couple of years.